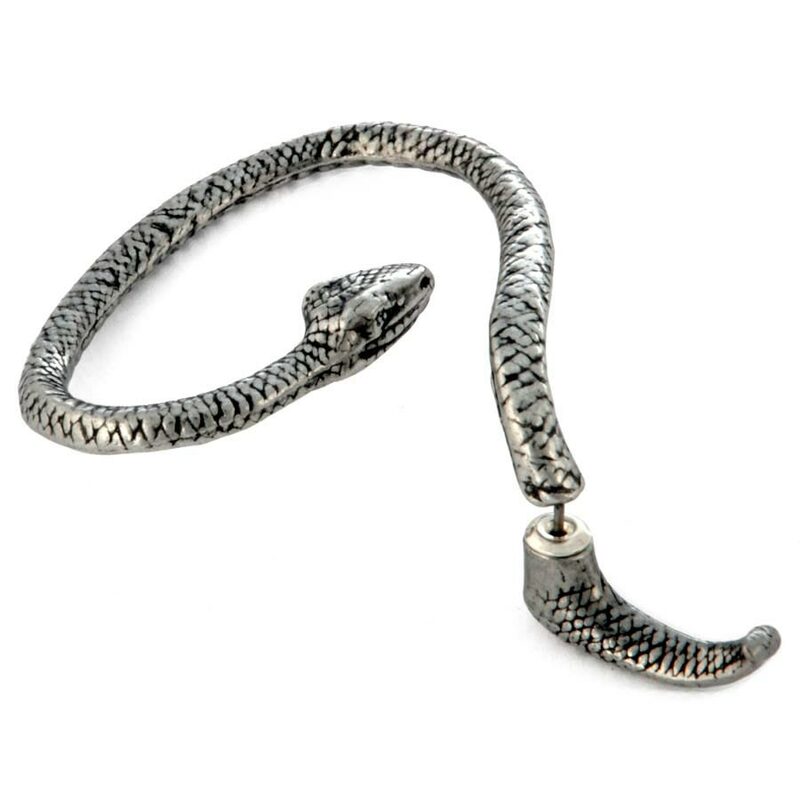 Serpent earring cuff stud that wraps around the ear with the head on top. 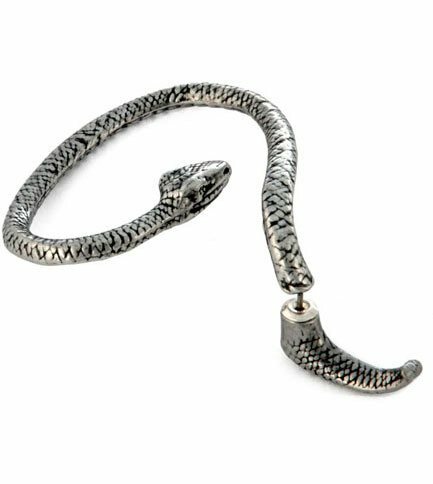 Made of English pewter and imported from the UK. This earring can be worn on the left ear.